The text is the Transfiguration which has become the standard text for the Ending of the Season of Epiphany. As such this sermon is the last in this loosely connected series. The evangelist Luke’s treatment of the Transfiguration is unique. In the parallels it is the Easter before Easter. In Luke it is Epiphany that starts the journey. And it is on the journey that everything we fear we might lose as the epiphany fades, or that we never got because we were sleepy and didn’t see the entire thing, is confirmed in the living. We remember the mountaintop, but that is the symbol for the life. Without the life, the mountaintop loses its meaning. Hilary Mantel’s Thomas Cromwell is a fascinating character. Nobody would ever believe me, but I once wrote up a Character Study of the guy for school that was titled – “Historical Libel”. The thesis was what she did for the man much better. Anyway, one of her lines she gives him is “Choose your prince carefully.” It is a fascinating insight to the character and the time. Mantel’s books don’t have much theology, well, because Henry’s Reformation wasn’t really about theology, but that phrase I think is surprisingly deep theologically. This sermon starts there. But moves into a meditation on Jesus’ words that the son of man cam not to be served but to serve. There are plenty of moralistic sermons about how we can serve God. I get some of that in here riffing off our Hymn of the Day – “Go to Dark Gethsemane”. But for me the much more fascinating pondering is choosing what we serve. Thinking in gentile lines we are aiming not to serve but to Lord it over. But the truth is that these deals with the devil, the world and our flesh always end in serving them. It is only Jesus whose yoke it easy. Because his hierarchy is inverted. The greatest was the slave of all. So Choose Your Prince, carefully. Holy Days, like Epiphany, often come with a phalanx of texts associated with them. The day itself is a concept, and over time various texts carry that theme with slightly different emphasis. 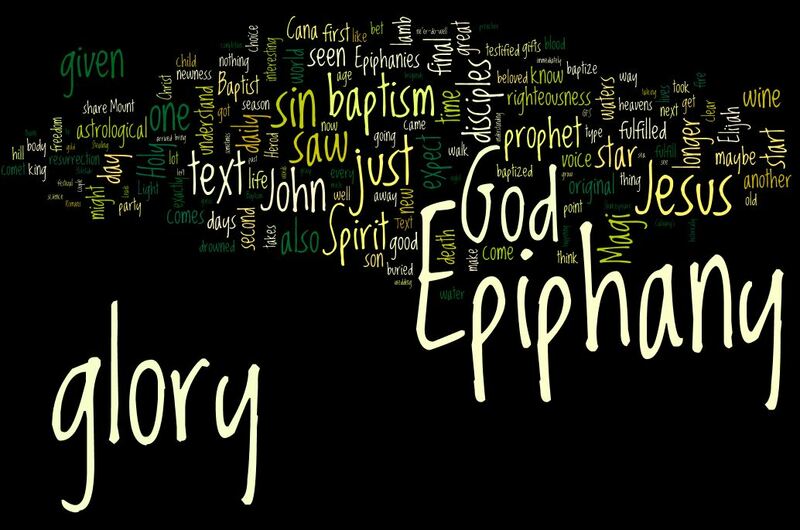 For Epiphany the texts are: The Magi, The Wedding at Cana, The Baptism of Jesus and then the Transfiguration. Stars, and lights, and voices and glory manifest. The actual text of the day is the baptism, but the sermon is a pondering of all of them, and really of the season. How do we see the glory? How do we see God? Is it all at once? Are we capable of understanding that? The sermon points at two expressions of the glory that are manifest in waters of the Jordan. And then how that glory is given to us and how it is manifest here and now, and in the world to come. At some point along that trail of Epiphanies, we do really “get it”. Be rest on the promises of Jesus, and that the Holy Spirit will enlighten us and one day sanctify us. 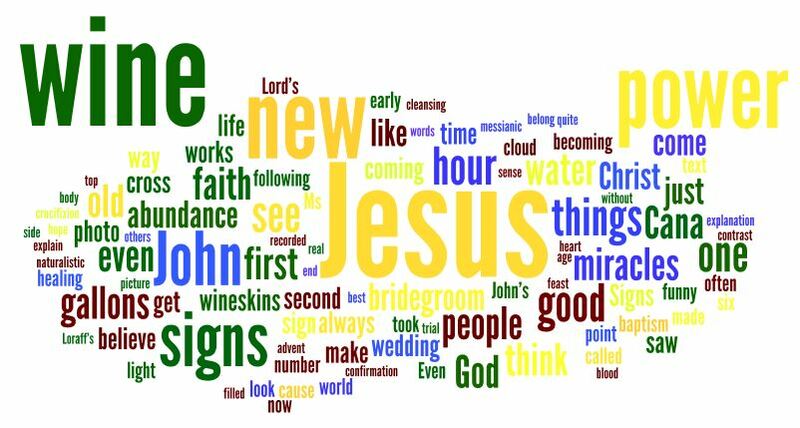 Looking at the word cloud I hope I didn’t abuse the pulpit today. When a name is bigger than Christ or Jesus or even a generic God, I get worried. That and nobody knows the Iliad, and the Brad Pitt movie didn’t really help, although Brad Pitt was the absolute perfect Achilles. Anyway, this sermon is a little more reflective of the text which is the last judgment. The last judgment scene tells me two things: a) what Christ is looking for from his sheep and b) the reality of final causes or end goals. It is these two things that are almost 100% in opposition to what the world at the time held out as reality. It is these two things that are becoming increasingly at odds with out world. What Christ is looking for is love of God expressed in love of our neighbor. Seeing Christ is the least. And what we do here matters, because we are made to meet our maker. We are made for glory, not fame. In our current environment that call feel disappointing or oppressive, but that is the nature of life under the cross. The excellence of the Kingdom has nothing to do with the excellence of the world. The weight of the Kingdom is eternal while fame blows away. So, this sermon might have been a little too narcissistic. I might have needed to hear it more than anyone else. But I do think it preaches the text in an honest and deep way, if not a direct way. I’m a sucker for the Olympics, but not for the right reasons. Network coverage is first about nationalism. We only see the athletes from our country. It is second about personalities. There is a reason beyond cheesecake that you get a steady stream of Kerry Walsh-Jennings. Mother of three going after her fourth gold medal who always has a smile and speaks in an easy relatable way, who wouldn’t want to watch that? But the reason I’m a sucker I like to think is even more elementary – it’s about the glory. 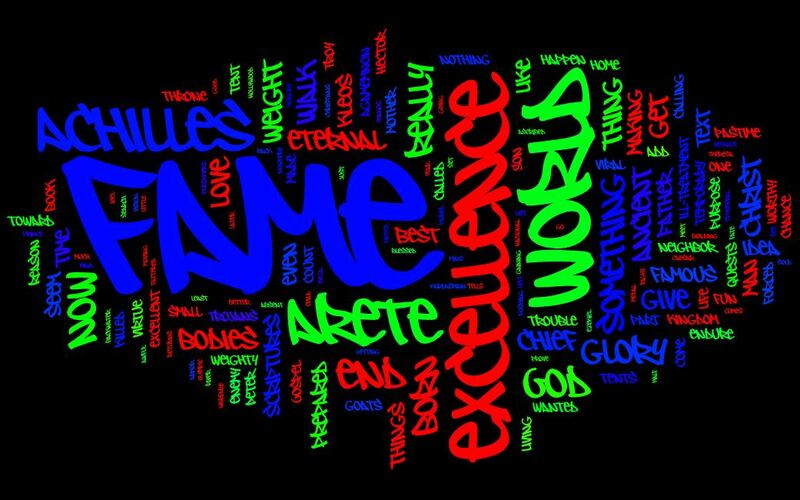 The old Hebrew word for glory in its root meaning is weight or mass. When the glory of the Lord fills the temple in Isaiah’s sight, we aren’t talking radiance. It is the weight of the moment before the prophet’s eyes. Millions of moments added together are a feather in the wind compared to this one moment in time. In modern democratic societies glory is something we are not supposed to want because it is unequal. We can have pageantry and pomp which simulate glory, but meet their democratic nemesis in satire. When you encounter true glory, nobody would think of making fun of it. The only thing you wish to do is like Peter on the mount, make the encounter longer. But then it wouldn’t be glory. Also, unlike our ersatz democratic versions, glory is found in victory and defeat. It is found not just in the glamour sports, but also in the out of the way. In that way glory is more democratic than its replacements could ever be. Four, sometimes eight, sometime more years of training and exercise, uncountable moments, go into this one performance. And even within that one performance of hundreds of moments, it is one that defines it. Look at the women’s cycling road race. Cycling has an interesting dynamic in that the peloton – the mass of cyclists – are relentless and they almost always catch you. But not always, and that is why some cyclists always make a break away. Cycling is also a team sport, although it may not look like it. There is always a golden child and everyone else is a specialist to protect and carry that golden child. But sometimes it doesn’t break that way. Mara Abbot was not the golden child but a specialist climber. Her role was to hit the hills with everything she has to take the final sprint out of the legs of everyone else while carrying her teammate to the top of the hills. But her teammate couldn’t do it, and no one else would help on the climb. So Ms. Abbot did it all herself opening up a minute lead on the pack. One person had gone with her, but she didn’t share the load. And when they crested the hill, this hanger-on took off down the steep slope. About half-way down nemesis caught her as she couldn’t control the bike and flew over the handles in a heap leaving the in control Ms. Abbot alone in the lead. And she kept it, for a long time. She never looked back. She kept her eyes on what was ahead. After the race, they asked her if she ever thought she might get a medal. Abbot answered, “well at 5 miles and 4 and 2 and 1, no. The chase always captures you, and I had left it all on that hill. But, when I saw 300 meters to go, I said, this could happen.” At 200 m three riders in a chase pack zoomed past her. She didn’t respond, there was nothing left to respond with. Abbot finished fourth. 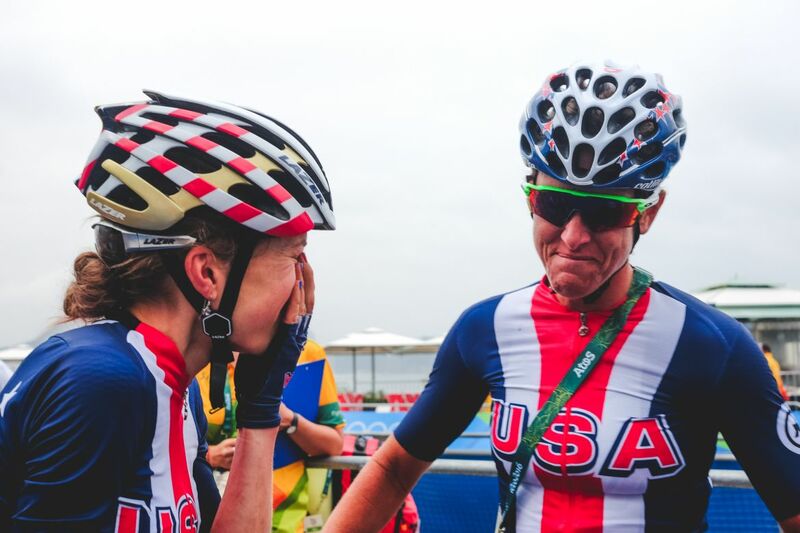 After doing everything right – the perfect teammate, the lead on the climb, keeping within herself on the descent, 4 hours on the bike – she wasn’t on the podium by 4 seconds. But that is the thing about glory, the weight of all those moments compressing into that one. She had run the race. She had left it all out there. The hill specialist without the motor to win it (the expectation was that after the hill she would just drop out of the race) was there. Everyone watching knew she was going to get caught, but she never looked back. It’s not the glory of the podium, but this was something even weightier. This was a unique moment. Terrible and full of glory. I think the apostle Paul was something of a fan of the games as well. “Everyone who competes in the games goes into strict training. They do it to get a crown that will not last, but we do it to get a crown that will last forever (1 Cor. 9:25).” There he focuses on the winning, but later “So is it with the resurrection of the dead. What is sown is perishable; what is raised is imperishable. It is sown in dishonor; it is raised in glory (1 Cor. 15:42-43).” All the moments of our lives are compressing to that last one. That is a unique moment, terrible and full of glory. When the weight of eternity is placed on us, have we run the race such that it is a prize, or a punishment? “We do not lose heart. Though our outer self is wasting away, our inner self is being renewed day by day. For this light momentary affliction is preparing for us an eternal weight of glory beyond all comparison, as we look not to the things that are seen but to the things that are unseen. For the things that are seen are transient, but the things that are unseen are eternal (2 Cor. 4:16-18).” Don’t be fooled by the imitations, don’t settle for what fades, see the signs and prepare for that eternal weight of glory. John includes a third resurrection appearance in his Gospel. He has the first Easter represented by The Magdalene, John and Peter’s trips to the tomb. He has the second represented by Thomas. And then the third is this fishing trip. There are two things that stand out about this third day to me. The first is the exact number – 153 fish. That has stood out to a bunch of other people as well, and this sermon looks at it a little. The second item is how meaningful it is to compare this fishing trip to a fishing trip at the start of the ministry of Jesus. Luke records it as the calling of the first disciples. THe developed points in this sermon are the simple importance of the material, or the bodily resurrection. If you are asking me the 153 fish are just 153 fish. It is one of those rediculous details that stick out about great days. The point is not a meaning on deeper reflection but the readily apparent meaning that Christ is Lord over the material as well as the spiritual. It is all his. The second half of the sermon does develop a meditative meaning in contrast to the first fishing expedition. In that sense John’s resurrection account is a looking forward to our resurrection, to pulling all the fish to the shore. John intentionally uses and structures half his gospel around a different word than Matthew, Mark and Luke. Those synoptics describe what we call miracles as works of power. 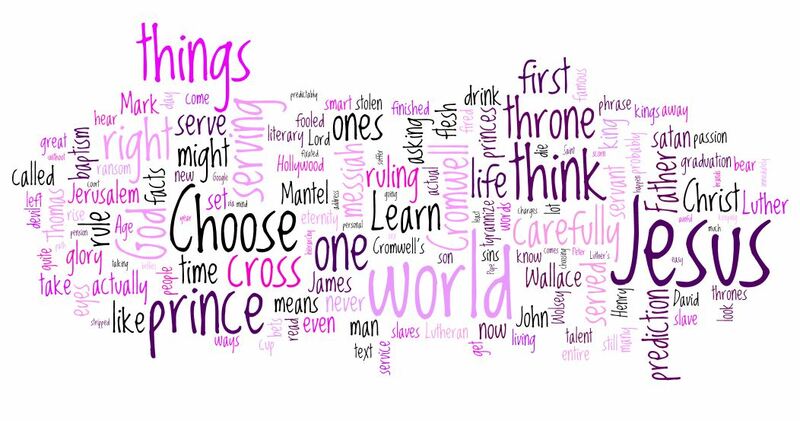 John calls them signs and the first twelve chapters of John are structured around seven signs. And I think John tells us the difference at the end of Cana. To John the signs due two things: 1) they manifest glory and 2) they inspire belief. What this sermon attempts to do is three things: a) ponder that difference between works of power, both natural and supernatural, and signs, b) flesh out what specifically Cana as the first of the signs encourages us to believe and c) apply those encouraged beliefs to our lives. I’d add here, something that the sermon doesn’t, that works of power can also inspire belief. They are just as much signs as the ones John picks out like Cana. The big difference is the emphasis between the two aspects. Is the primary purpose a manifestation of glory, or has that manifestation worked itself into our understanding of ourselves and our actions. Does seeing the glory change us in deeper ways. I’d also add here a second note about this sermon. A better preacher could make this much better, but my reflection after delivery is that I rendered a very deep text in a meaningful way. It is one of the rare times preaching on John that I don’t feel defeated.